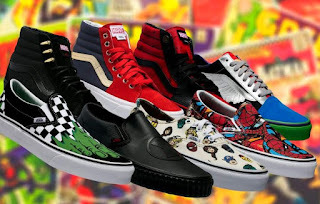 THE SNEAKER ADDICT: NEW Marvel x Vans Collection AVAILABLE NOW! NEW Marvel x Vans Collection AVAILABLE NOW! The NEW Marvel x Vans Collection AVAILABLE NOW HERE , these are all a must for any comic book/Marvel movie fan!